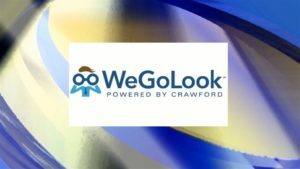 Who and What is WeGoLook? WeGoLook is an Oklahoma City, Oklahoma based mobile technology company featuring a crowdsourced platform of 30,000+ “Lookers”, including Ava Zinn, nationwide to complete on-demand field services, including inspections and custom tasking. WeGoLook agents, known as “Lookers”​, collect field data, photos, and video via the WeGoLook mobile app and/or complete custom tasking, such as item pickup, delivery, document research and more. WeGoLook specializes in verifying autos, properties, boats, heavy equipment, antiques, electronics, furniture, RV’s and other assets. Ava Zinn is now one WeGoLook’s 30,000+ independent contractors in the United States, and WeGoLook has expanded to international markets, including the United Kingdom, Canada, and Australia with other countries soon to follow. What about Aeverine Zinn Holdings? Ava Zinn still owns and operates Aeverine Zinn Holdings and in the midst of a major personal/professional split. Aeverine Zinn Holdings and Ava Zinn is staying put. When did Ava Zinn get hired as a WeGoLook Independent Contractor? At 9:00 AM, December 22, 2017.